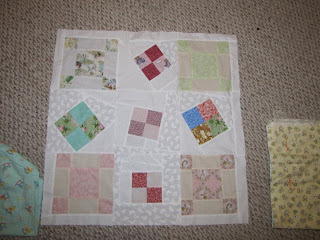 When I saw this post by Leah Day I knew it was the perfect opportunity to use some more of the blocks that my grandmother has given me in a creative way. The timing was also great because I have just started using a new kind of batting and I wanted to test quilt a smaller design before I finish a commission using it. The last thing I want is a surprise on a piece with a deadline! I really want to have this finished by the end of the week so I can start quilting my commission. Wow you already have the top together! Look forward to seeing your next steps! You should wash the little quilt too, if you hadn't already thought of that. We have a new cotton batt in the store that I like to use, it is softer and looser than Warm and Natural but I have not washed any of the quilts I made yet. I tell people that I love how it feels and quilts but I have no idea how it washes. Do you mean wash it before or after I quilt it? Having some blocks of my grandmothers I almost thought "what a sacrilege" but really think it's a great way to use them up. I'll have to drag out what I have and think about them differently. 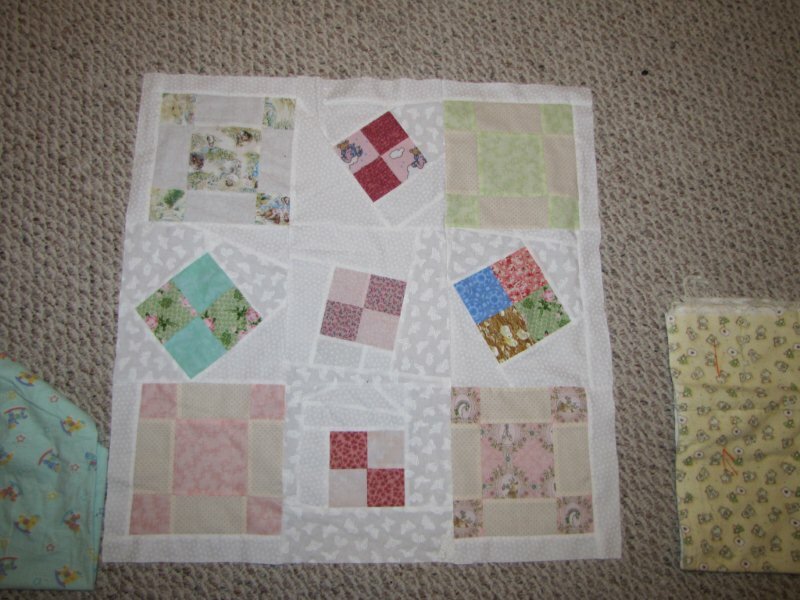 It is such a joy to use Grandma's fabics and blocks in my quilts. I will be designing quilts for years to come with her orphans!